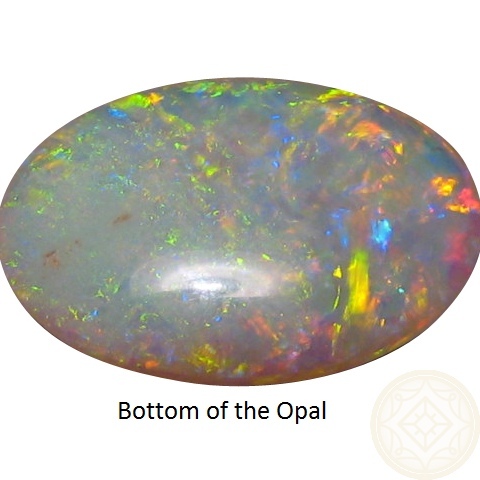 Big Crystal Opal from Coober Pedy with very bright colors. 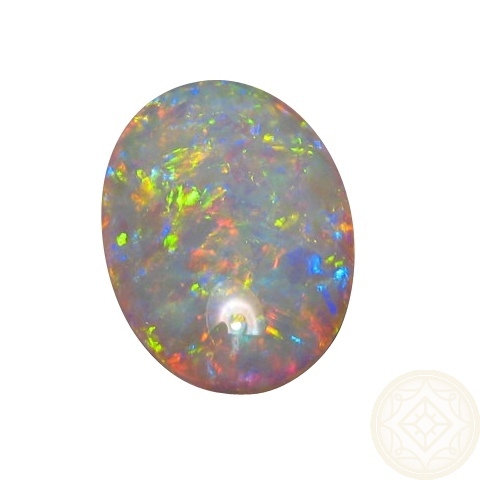 This Crystal Opal is big, bright and colorful. 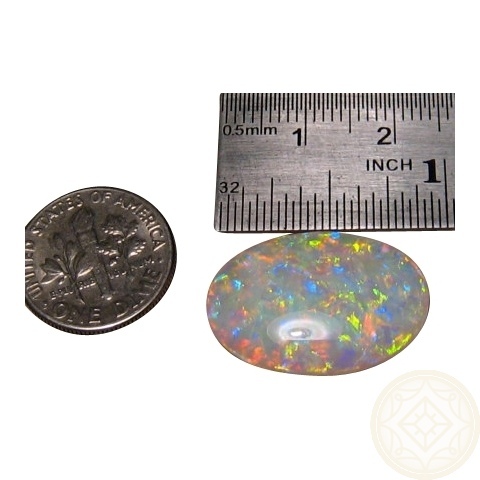 Cut and polished to an oval measuring 23 x 15 mm with a thickness of almost 6 mm, it weighs 12.49 carats so will be seen if worn in a pendant or ring. 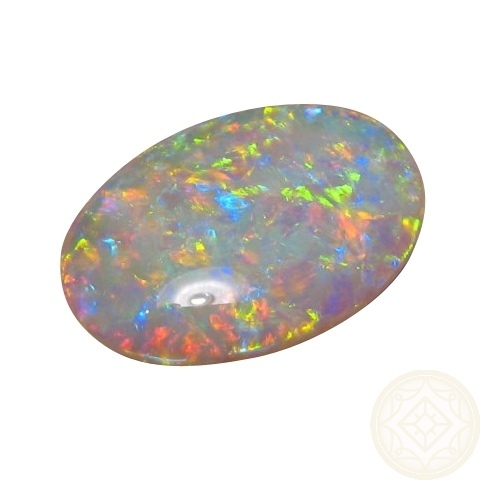 The colors are very bright in a large patch pattern which is best viewed in the video. 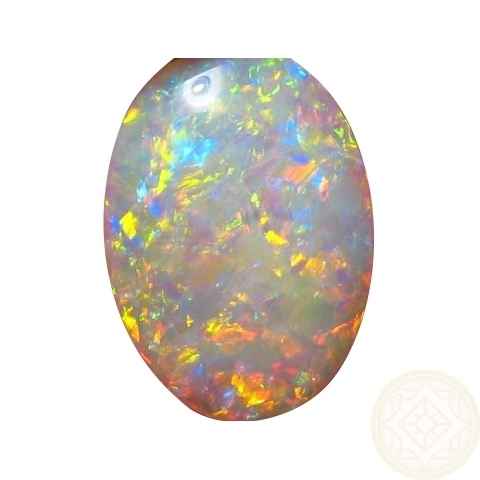 Any dark sections in the photos are only shadows and are not part of the stone. 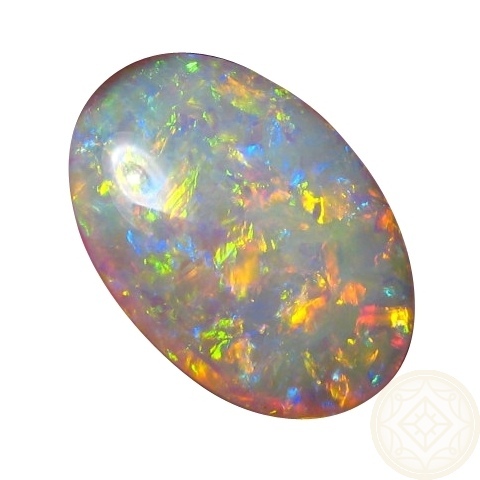 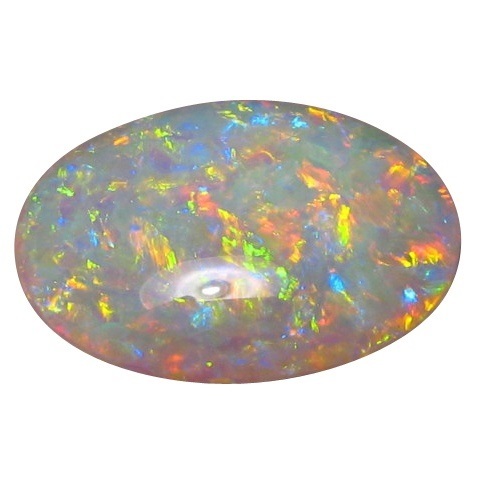 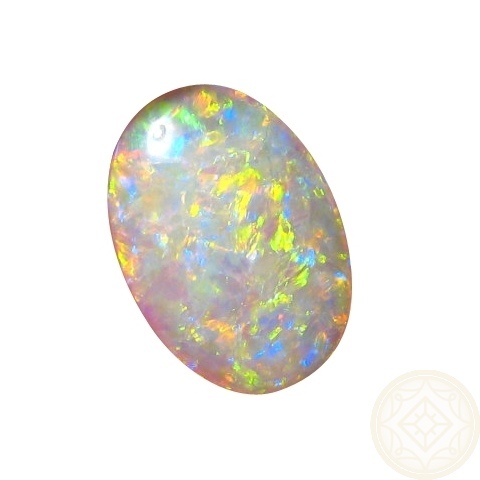 From Coober Pedy with a semi translucent body tone, this natural Opal is ready for jewelry.